If there are many images in an pdf file, the file size will be big and not suitable to be saved, transferred or copied, etc. So to downsample image in pdf file will be a good way to resize PDF file document. 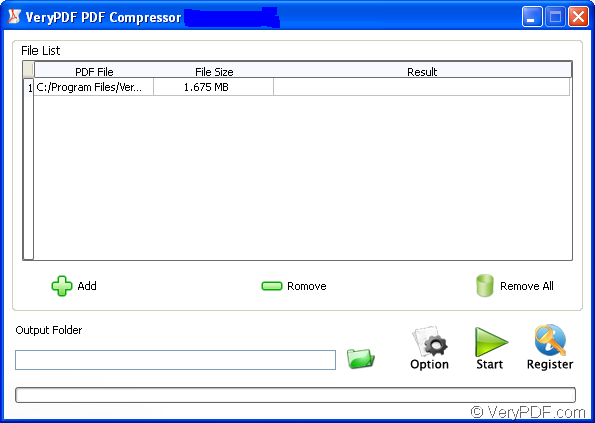 VeryPDF PDF Image Downsample Tool provides a quick way to resample the images in Acrobat PDF documents directly. 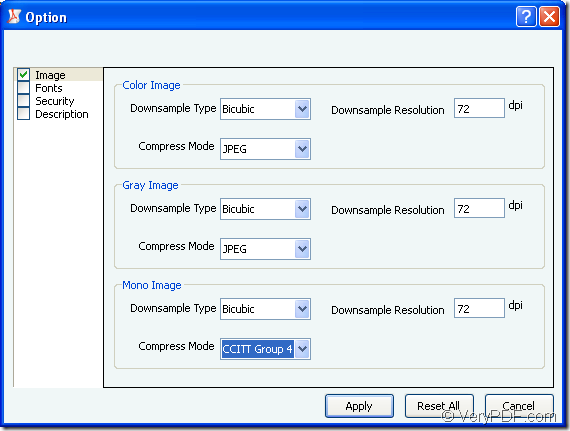 The reason to choose PDF Image Downsample Tool. When you download the down-sample tool via clicking this button and install on your computer, please open it and you will see the interface like the one shown in Figure 1. You can drag pdf file and drop it into the file list or click Add button. To downsample image, you just need to click Option button to open Option window which is shown in Figure 2. 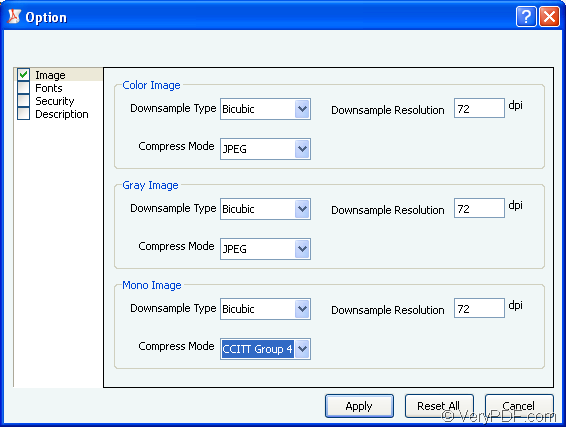 To color image, gray image and monochrome image, PDF Image Downsample Tool supplies different kinds of downsample types, compress modes and you can choose any one according to your needs. To resize pdf file, you can also downsample image resolution of pdf file. When you finish setting all the parameters, please click Apply button to save all settings. When you see the main interface of the application, just click Start button to downsample image of pdf file. Allow drag and drop operations. You don’t need to install any other third-party program on your computer if you purchase this $29.95 application. If you have any other questions about PDF Image Downsample Tool when you downsample pdf image, please contact our support team. This entry was posted in PDF Compressor and tagged downsample pdf image, image, pdf file, png, Tiff. Bookmark the permalink.